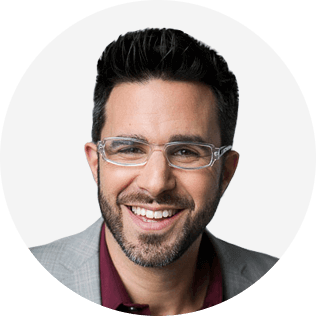 Rich Litvin runs a boutique advisory firm for world leaders and thought leaders, based in Los Angeles and London. The methodology is deep coaching. 1. We help leaders identify tiny shifts in their thinking. Because when you’re an extraordinary top performer tiny shifts have an exponential impact. 2. We help leaders leave a lasting legacy by accomplishing “impossible” goals. Because too many leaders regret the impact they didn’t make. 3. We help leaders do what scares them. Because your biggest breakthroughs are always on the other side of courage. 4. We help leaders surround themselves with other elite performers. Because if you’re the most interesting person in the room, you’re in the wrong room. Rich is the founder of 4PC—a highly curated mastermind of the top 4% of high-performing leaders, coaches and entrepreneurs. Members include a coach to leaders at The World Bank, high-level athletes, seven-figure business owners, an ex-navy bomb-disposal expert, an aikido master, award-winning singer-songwriter, a coach to one of the leaders at NASA, a woman who used to be the Assistant Chief Scientist of the Human Performance Wing of the Air Force Research Laboratory, and the CEO of a wolf sanctuary. A thought leader in the coaching world, Rich is co-author of the highly-acclaimed book, The Prosperous Coach—that has sold over 30,000 copies. His second book, The Success Paradox: Provocative Questions for Top Performers is due to be published in 2019. A scientist by training, he has a background in Behavioral Physiology and Psychology. He trained to teach at the University of Oxford and he has a master’s degree in Educational Effectiveness & Improvement. His big picture is to mobilise $100 Million for charity, through his connections. The Litvin Group has raised the funds to build five schools in Africa. And in 2014, Rich helped lead a team who trained 400 teachers in an Empowerment event in Liberia, West Africa. Rich has lived and worked in eight countries and on four continents. His wife, Monique, is an award-winning singer/songwriter. They are the proud parents of two little boys. An introvert at heart, Rich still gets nervous walking into a party. He has at various times in his life been extremely talented and high-performing and at others a complete mess. In a world where most coaches solve their client’s ‘problems’, it’s a rare and high-level coach who is able to coach extraordinary top performers. Rich Litvin has over a decade of experience in taking high achievers to the greatest level of success. His clients include Olympic athletes, CEOs, Special Forces operatives and serial entrepreneurs. One of his clients is currently selling her company for a billion dollars, another is raising $100 million to transform the future of work. In this session, Rich will introduce you to the power of Deep Coaching and exponential thinking. You will learn how to coach clients who are more successful than you, wealthier than you, and more intelligent than you! You will leave this session with a deep understanding of how to coach extraordinary top performers. Rich will teach you the five elements of Deep Coaching and you will be ready to apply one key distinction from each in your very next coaching session. And Rich will introduce you to a tool to assess your coaching and 10X its impact. 1. You will leave with a deep understanding of how to coach extraordinary top performers through the distinction of Deep Coaching vs. ‘remedial’ coaching. 2. You will understand the five elements of Deep Coaching and be ready to apply one key distinction from each in your very next coaching session. 3. You will leave with a tool that allows you to assess your coaching and 10X its impact. When was the last time you got to witness powerful coaching? How often do you get to add high level skills to your coaching toolbelt? Have you ever wondered how to coach ultra successful clients? The very best way to take your coaching skills to the highest level is to experience deep coaching yourself and then to practice it. But it’s often difficult to analyze exactly what’s going on behind the scenes. In this session, you’ll have the opportunity to be a fly on the wall for a Deep Coaching experience as Rich coaches an extraordinary top performer. Afterwards, Rich will be joined by master coach Adam Quiney. They will use the Five Elements of Deep Coaching to deconstruct the entire coaching experience. You will leave ready to apply at least one key distinction in your very next coaching session that will 10X your impact as a coach. 1. You will be a fly on the wall for a Deep Coaching session with Rich Litvin and an extraordinary top performer. Immediately afterwards, master coach Adam Quiney will deconstruct the coaching experience. 2. You will witness the Five Elements of Deep Coaching in real time. You’ll leave with at least one key distinction that you can apply in your very next coaching session. 3. You’ll use the Deep Coaching Tool to deconstruct Rich’s coaching and take lessons and insights forward into your own coaching practice that will 10X its impact.